This wedding cake confirms my obsession with the current trend of metallic wedding details. I'm getting a little hungry admiring this silver and gold stunner shimmering with elegance at Disney's Contemporary Resort Ballroom. 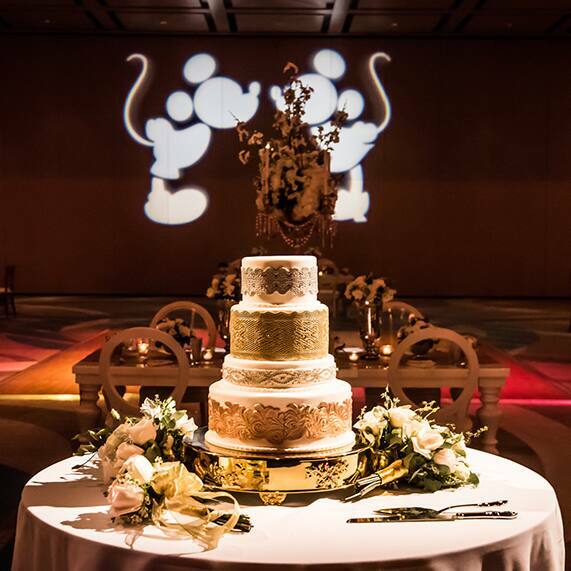 No cake topper was needed on this masterpiece as the perfectly placed Mickey and Minnie Mouse gobo provided a flawless backdrop.